This Regency leg and caster kit makes it easy to turn your stationary worktable into a mobile one, or if you've already done this you can use it to replace broken components. The four legs are cut down to 28" long, so that when the casters are installed on the ends and the legs are installed on the table, it will maintain the same working height that the table started with when using standard stationary legs. 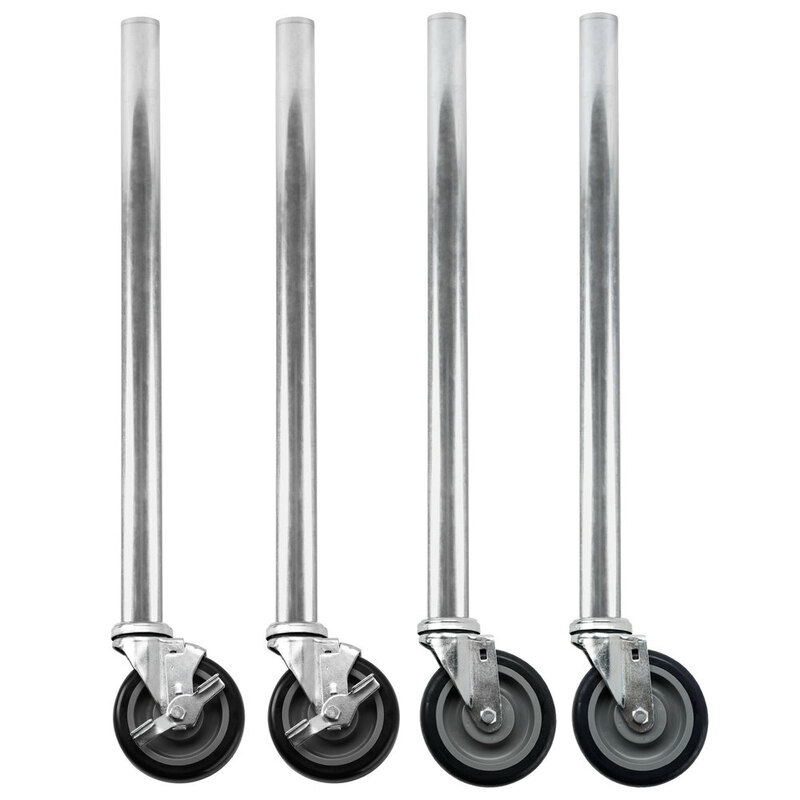 The legs are made from durable 18 gauge galvanized steel to provide a solid base, and the 5" stem casters make it easy to move the table for routine cleaning and changes to the kitchen layout. Two of the casters include a brake. Capacity (per caster): 300 lb.